"Mizmaze" is a fast-paced art game about dexterity and instinct. The player races against an AI in devious mazes. 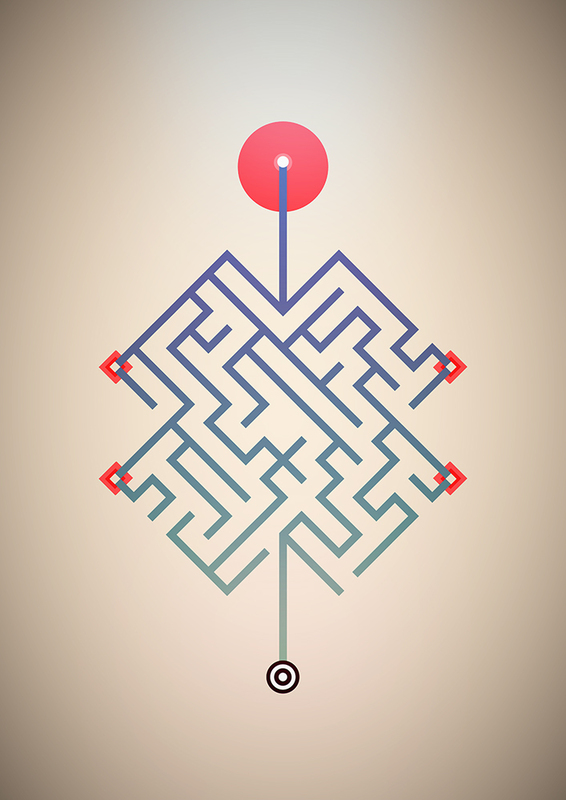 Every maze is procedurally generated: the path to the exit is never the same and the experience is unique for every player. The gameplay evolves to create challenges so that human and machine stay tight on the race and to create renewal and surprise during each play. Colorful geometric art, immersed in a rich and vibrant soundtrack composed by Théo Harfoush, "Mizmaze" creates a mesmerizing, sensory experience.